An online resource for parents created by parents. A participant in the Amazon Services LLC Associates Program, the California-based company offers a plethora of resources to help parents make the right decisions when it comes to finding, buying and using appropriate toys and playthings that help kids develop into strong human beings. 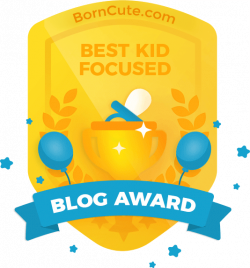 From lists of toys organized by age, girls, boys, type and best sellers to toy reviews, excellent blog articles on related topics to awards for Best Kid Focused Blogs (CRT is one of them!) – parents can find stuff that helps their children develop physically, mentally, socially and emotionally through play. Sign up on the mailing list for the latest toys, gift ideas and special offers. Enter monthly giveaways! If you’re a parent and would like to write for BornCute.com, click here for more information.